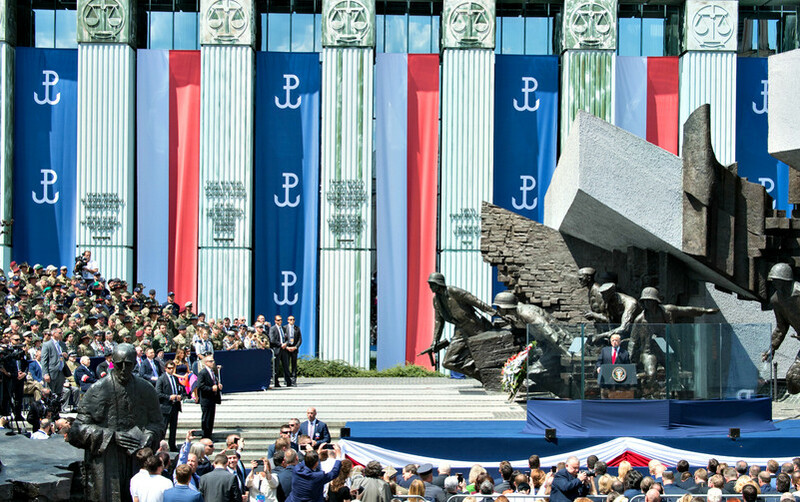 Arkadiusz Mularczyk, an MP from Poland’s ruling Law and Justice party, announced the move on Wednesday (2 August) amid commemorations of the Warsaw uprising in 1944. He told the Polish news agency, Pap, that parliament would conclude a legal analysis of the claim by 11 August, describing the initiative as a “moral duty”. Ryszard Czarnecki, a Law and Justice MEP, said: “If Jews have gotten compensation - and rightly so - for loss of property, why shouldn't we also make claims?”. 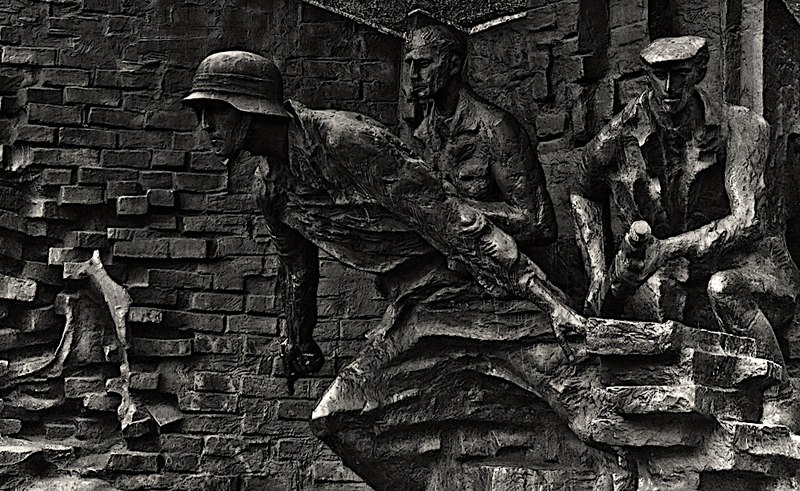 He said Nazi Germany’s killing of more than 200,000 Polish civilians in the Warsaw uprising was “genocidal” and that “the only thing the Germans can do in this case is try to … repay their terrible debt to the Polish nation”. The Law and Justice party chief, Jaroslaw Kaczynski, also spoke out. He told Radio Maryja, a right wing broadcaster, this week that the “Polish government is preparing itself for a historical counteroffensive”. 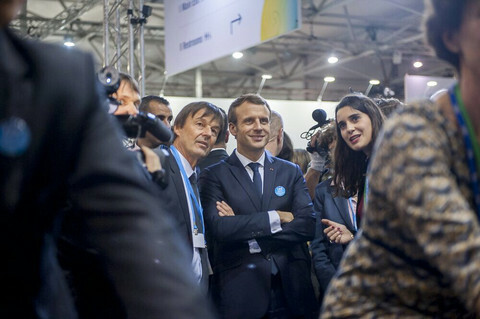 "We are talking here about huge sums and also about the fact that Germany for many years refused to take responsibility for World War II,” he said. It is not the first time that Kaczynski has looked to WWII history in EU politics. He said in his time as Polish prime minister in 2007 that Poland should have more votes in the EU Council to take account of the 3 million Poles and 3 million Polish jews that Nazi Germany exterminated. That failed to alter the EU’s Lisbon Treaty and caused a stink. The new WWII claim comes in the context of a wider Law and Justice clash with the EU establishment. 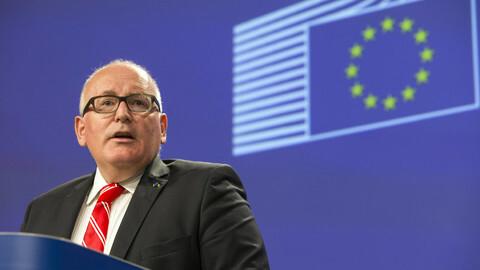 The European Commission has threatened to impose EU Council voting sanctions and fines on Poland over its judicial reforms and its refusal to respect Council votes. The Commission triggered its so called Rule of Law procedure against Warsaw after Law and Justice tried to seize control of Poland’s constitutional tribunal and supreme court. Poland’s refusal to obey an EU court order to stop logging in the primeval Bialowierza forest could also form grounds for sanctions, the Commission said in Brussels on Wednesday. The EU fines could come after Poland refused to take in asylum seekers from Greece or Italy despite being outvoted on binding quotas. Kaczynski’s vendetta against European Council chief and former Polish leader, Donald Tusk, has added to the toxic atmosphere. 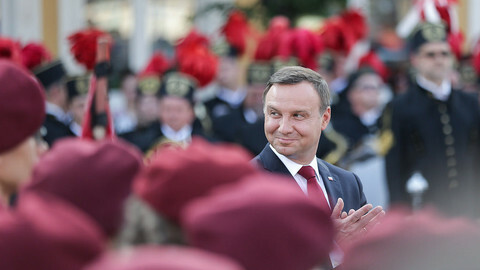 Tusk will, once again, answer questions in Warsaw on Thursday in a probe into his alleged collusion with Russia in the 2010 Smolensk air disaster in which Kaczynski’s twin brother and the then Polish president, Lech Kaczynski, lost his life. The German government reacted to news of the Law and Justice initiative on Wednesday by saying that the subject of WWII claims was closed. Germany "has made significant reparations for general war damage, including to Poland, and is still paying significant compensation for Nazi wrongdoing,” Ulrike Demmer, a government spokeswoman said. The ruling Syriza party in Greece also claimed billions in WWII debt from Germany in its EU bailout negotiations, but to little avail. The Italian supreme court said 10 years ago Germany should compensate relatives of the victims of a Nazi massacre in 1944, but Germany did not pay. 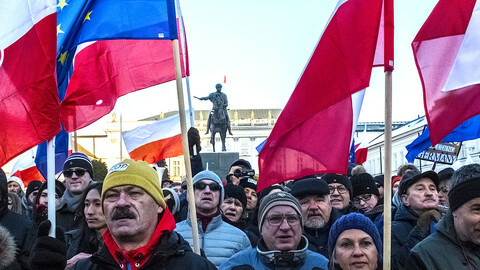 Erika Steinbach, a politician from German chancellor Angela Merkel’s CDU party, in 2007 called for Poland to compensate Germans whom it expelled from Polish territory after the war, but Merkel forced the project off the rails.